Mobile, content and data dominated the marketing world in 2015. As the year draws to a close, I sat down with some of my marketing friends to discuss their ideas and predictions for the year ahead. 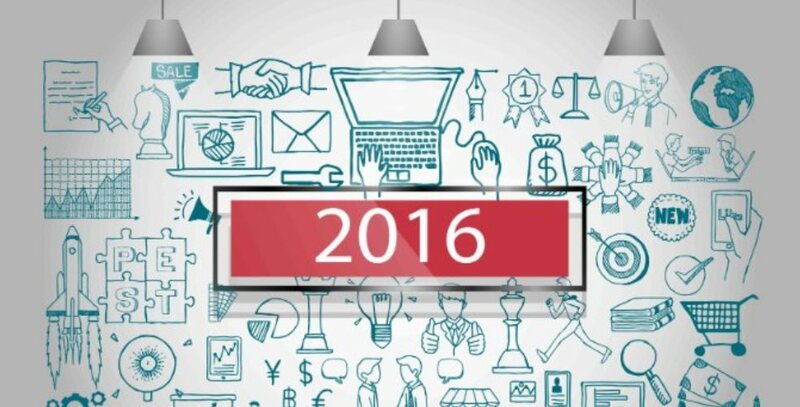 The conclusion- 2016 is going to be one of the most competitive and complex years in the global marketing world. Mobile will completely dominate 2016. Mobile raises the challenge of “less is more”. Marketers must develop the right, easy to understand content and ads for mobile consumers. The emergence of the CMTO (Chief Marketing & Technology Officer)- A new breed of marketers (or support for marketers) that deal with data infrastructure and tech decision making. Actionable data is going to become a crucial layer of any marketing strategy especially with the scarcity of resources across industries and the extreme need for improved marketing efficiency and effectiveness. For 2016, we see a growing trend of Brand Marketers adopting mobile for their branding campaigns. As consumers spend more and more time with the channel, Marketers too will start using this channel. Historically, brand advertisers shift their marketing budgets to where consumers are spending their time. We saw this with the switch from Print to TV to Digital to Social to Mobile. The second trend will be the concept of cross channel marketing taking off. Many marketers will start tying their multiple channels together to have multiple touch points with the same consumer. More companies should focus on how search (SEO) and social media intersect.Specifically, companies should develop better strategies for integrating search best practices into their social media strategies, and also using social media to inform search opportunities. Social media engagement is already taken into account in the rankings for major search engines, and this integration will only continue to evolve as social media evolves. One word – simplicity. As trendy words like “big data”, “social”, “programmatic” fill our ears and confuse our minds, there is one truism that continues across any relevant, timely and “sticky” marketing campaign – a strong creative concept that is presented in a simple way that resonates across any marketing medium. By simple, I am not implying that the audience is ignorant or incapable of understanding complex ideas – but in a world where people (and let’s not forget that whether you’re pushing a B2B or B2C message, every individual is just that, a living, breathing person) are barraged with information at every turn, the simplest (and dare I say consistent) ideas often remain the most impactful. Its this lesson I strive to teach all of my clients as they develop their marketing strategies and in most cases, seem to work the best. We, marketers, know well that customer experience is the key brand differentiator. Many, however, don’t fully realize that content shapes the customer experience to a great extent; this is the content that companies create, use, and distribute. In 2016 we’ll see smart marketers embrace content as a business asset that requires a more strategic focus. More will approach it as a means to help their customers make better decisions, on the one hand, and to drive business result, on the other. So if you care about the customer experience (and your own success), you should care about content! 2016 will be the year when social gets serious. Brands will begin to question what the resource they are plugging into social media is actually doing for them. They will also begin to realise that social networks have spent the last few years turning their platforms into sophisticated digital marketing tools. We will begin to see social media activities that really make a meaningful impact on a business. 2016 I expect most of the marketers to focus their efforts on innovating using digital and more particularly business model innovations. We all have seen Uber, Airbnb changing completely the taxi and hotel industries and while a lot of this new models will come from new market entries, I believe establish market leaders to look in more details in what they can change to retain their leading position. Virtual reality will emerge – there are many VR devices due to launch in 2016 and Facebook are expected to make big moves early in 2016. Most recently, Facebook has rolled out a video creation tool and ad format allowing brands to create 360-degree clips. Expect a lot of creative innovation with this technology. I think for us the biggest trend in MENA is coming of age of Programmatic buying.With all the buzz and lack of understanding associated with this term, we believe the biggest advantage will be the ability to measure cross platform reach, as well as being able to target using first as well as third party data. With Youtube opening up to this, FMCG companies will finally have some critical mass for programmatic. For now, most of the FMCGs in MENA have not spent more than 10% on programmatic, but I expect this figure to at least double within the next 12 months. In a truly global, connected and social world, the smart phone has become the platform for showcasing our smart thumbs, smart minds and smart mouths. Whilst there's increased competition, there are also greater opportunities. A byproduct of this is the importance of demonstrating excellence proactively - through engagement and the evidence of a credible social media footprint. Hello to the world of personal branding for professionals and managing our own personal image. Sharing content, commenting in real-time, and writing articles have become the new normal for many professionals - as a corporate marketing tool and personal CV enhancer. However, key challenges for firms and employees lie in balance and control. Now that you have recruited and inspired personally branded professionals, how do you nurture this culture and reward people? It's easy for firms to worry about this new talent that attracted them to people in the first place." Companies should focus less on campaigns and more on creating sustainable programs and initiatives that are genuinely worth talking about and which creates social currency. Warning, this may involve having a serious conversation with your agency!" Mobile first marketing and content creation will scale in 2016, as advertisers look to leverage the ubiquity of smart phones and the unique scale and personalization capabilities of platforms such as Facebook and Instagram. Video will be a key enabler, with new formats like 360 degree and immersive canvas video gradually paving the way to virtual reality experiences. With advertising becoming less and less effective- the move from print, to desktop, to mobile -screens are getting smaller and smaller. Advertising is becoming even more disruptive in users experience of your site and others. Your brand must invest and develop in the commissioning of beautiful, exciting, immersive editorial digital content (films, articles, imagery) that tells the story of your brand or campaign.Digital content that is trusted and reaches new or your existing customer base, but most important works seamlessly for mobile experience. With consumers and audiences getting increasingly tiresome of the constant barrage of advertising both online and offline, we’ve now seen the rise and prevalence of “Ad Blockers” which consumers use to limit their exposure to advertising as well as save on bandwidth (and loading times) when surfing online. The challenge and opportunity this provides to brands is to be increasingly creative around the different ways in which they can get their messages to their chosen audience. The biggest opportunity I’ve seen to curtail the effects of ad blocking is that of content marketing, where the brand message or promotion is almost indistinguishable from the editorial content around it. The “advertising” so to speak, is made relevant to the person, is targeted specifically at them and is in a format which makes it seamlessly integrate with the other content on the platform it lives on. Content Marketing has become increasingly widespread because of its effectiveness in a crowded digital advertising world, and I see this trend as only increasing in importance as we have more brands entering the digital advertising space and more consumers getting increasingly tiresome of online advertising. It’s become increasingly difficult for brands to reach and engage social media audiences through organic activities alone. Because of this, in 2016 we’re likely to see at least some major global brands shift their entire social media budget (other than customer care) from “community management” to paid social (advertising). Will consumers even notice? Quite possibly not. The real impact will be behind the scenes, with brands who make this shift gaining better access to data on the real cost and performance of their social spend. This insight will lead to at least several globally prominent brands stepping back from social media entirely, moving that investment elsewhere.